Joanna has had enough of relationships, she feels like she always picks the wrong guy and all relationships lead to is heartbreak, so she's determined to not go there again and just be friends with everyone. She buys a broken down home and begins the process of renovation, only thing is that Malcom comes into her life asking to be her roommate. As things heat up between the two, Joanna decides that it's best to just stay friends and avoid the hassle of commitment, so they embark on an off-again and on-again relationship. She keeps pushing him away while realizing that she may really like him more than she things, and as much as she says no, she can't help but feel jealous of any other woman around Malcom. Sounds like most of us wanted to shake Joanna. 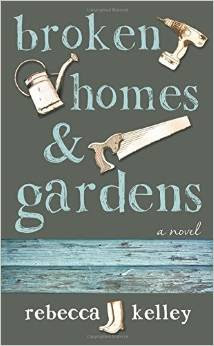 I really enjoyed the book and would have liked more about the remodel. I'm glad you enjoyed the story overall. Thanks for being a part of the tour! Checking off my to do list! Mother and teenage daughter relationship!